Lange Tidling Zeller is a modern hazel variety from Germany which produces heavy crops of large nuts. Please fill in the details below and we will let you know when Lange Tidling Zeller hazel trees are back in stock. Lange Tidling Zeller is self-sterile and needs to be pollinated by another tree of a different variety nearby. Lange Tidling Zeller grows in a more compact form than some other hazel varieties. Requires a pollination partner - e.g.Gunslebert. See our hazelnut pollination matrix. 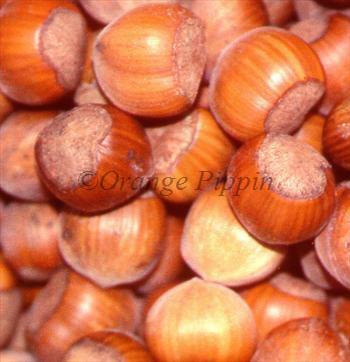 More information on how to grow hazelnut trees.